Entering into the “unknown” of AFL Outer East, a rejuvenated Doveton couldn’t be any more excited about what 2019 holds. 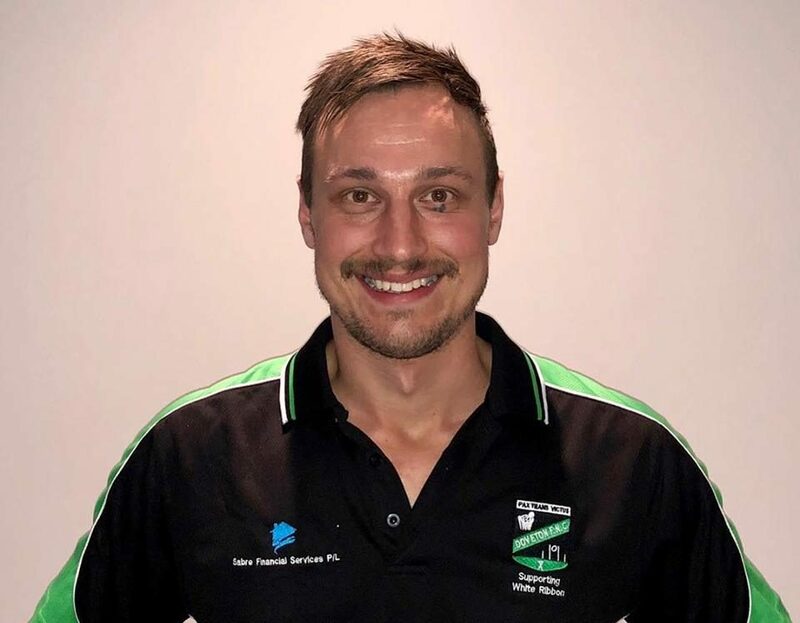 With the Doves’ first clash in the new league against Officer on Good Friday (19 April) only a couple of months away, new director of football Martin Stillman has jumped on board, and with an impressive footballing resume. Stillman – who is the current CEO of Little Athletics Australia – comes across to the Doves after previous roles as general manager of the VFL, Calder Cannons regional manager, Port Melbourne board member and recently coach of Oakleigh and Forest Hill, and said that the Doves haven’t looked back on a 2018 that netted just one win between the seniors and reserves, and couldn’t talk higher of the culture being built as the gear up for their new era. “The vibe at the club is very good – every training session has seen plenty of enthusiasm on the track, plenty of voice, we’re training really well, and looking forward to the season ahead,” he said. “It’s all about creating good habits, good culture and making sure each training session we don’t waste one minute, every training drill is done properly, and look to improve in all areas, and hopefully that will create a sustainable game plan that will hold us in good stead. “But the club is looking forward, and not in the rear vision mirror – last year is done and dusted, and all we’re worried about is training Monday night, Wednesday and just working through each session until we build up to the practices matches and season proper. Stillman said he is enjoying his latest footballing challenge at the club, and has been busy meeting the new recruits, coaches and committee as he begins to inject his own ideas into the club. “(It’s been) initially just to familiarise yourself with the coaches and playing group, and the new recruits coming into the club – except for a handful of players that I’ve been involved with at Rowville, it’s very new to me, so im just getting around everyone, assessing how the club operates and see what we might be able to do to improve our processes on and off the field,” he said. In terms of recruitment, the Doves have been busy getting pen-to-paper on several high profile names, with the likes of Daniel Zajac, Lachie Batten, Michael Sikora, Mitch Viney, Luke Daidone, James Gascard and a string of others signing on for 2019. Stillman said the club has targeted “good people” with a passion for the club. “The club’s been really strategic in terms of looking to recruit (Daniel) Zajac, Lachie Batten, and Doveton people back to the club, in addition to the coaching staff and others, so there’s a good mix of Doveton people with a lot of pride and passion, with new blood and ideas into the club,” he said. “Michael (Sikora) is another big recruit for us, a big ruckman with over 50 VFL games with Sandringham, Essendon and Williamston, and played state footy for Victoria, so he’ll be a big addition for us. “Mitch (Viney) is another Doveton boy coming back and he’ll be a big strong midfielder for us. Luke Daidone is also a big in from Rowville. “I’ve looked through the new recruits, and there’s at least a dozen new or returning players that I think will have an impact on the senior 22, so there’s a lot more depth and that needed to occur. With plenty of players pushing their case for a senior berth against the Kangaroos, Stillman said the list is shaping nicely, with very little departing the club in the off-season. “We’ve lost three senior players, Russ Gabriel obviously to Pines, Josh Bradley to Pakenham and young Mitch Cotter is now on Collingwood’s VFL list,” he said. The Doves are part of Division One of the new competition, joining other defunct SEFNL clubs Pakenham and Officer in a competiton which will also see them play Yarra Valley clubs Emerald, Belgrave, Monbulk, Mt Evelyn and Warburton Millgrove, and Stillman said that despite the uncertainty of where each clubs sits in the pecking order, it creates plenty of excitement for his club. “After last year, it’s an important stepping stone – the way I view it, we’re still playing against premier clubs, albeit that Division One is made up of the bottom-end of the Yarra Valley and SEFNL, so there’s some very handy players still running around,” he said. “All the clubs are really professional, so we’re going into the unknown from our perspective with Belgrave, Mount Evelyn, and other clubs in the Yarra Valley, so it’s exciting. “A lot of the discussions for the committee has been about the unknown, we’ve never played these clubs before, so its going to create new rivalries.